Fred & Friends ESCAPE! Deep Sea Critter Lid Lifters, Set of 2 Only $ 8.12 (Reg. $12)! You are here: Home / Great Deals / Amazon Deals / Fred & Friends ESCAPE! Deep Sea Critter Lid Lifters, Set of 2 Only $8.12 (Reg. $12)! Fred & Friends ESCAPE! Deep Sea Critter Lid Lifters, Set of 2 Only $8.12 (Reg. $12)! Check out this great Amazon deal! 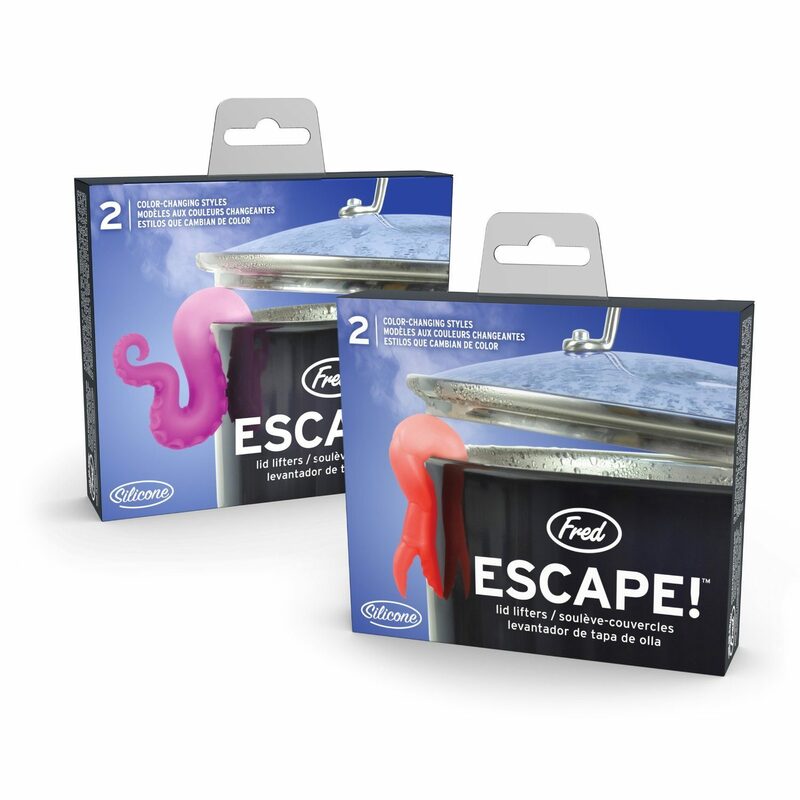 Right now you can get these handy and hilarious Fred & Friends ESCAPE! Deep Sea Critter Lid Lifters, Set of 2 for only $8.12! These lid lifters would make a wonderful addition to any kitchen. Slip Fred’s color-changing silicone octopus tentacle or crab claw on top of your stock pot and you’ll never have dreaded boil-over again. They’ll hold up your lid just so and evoke an exciting scenario of “escape from the briny deep!” ESCAPE! lid lifters are molded from heat-sensitive, color-changing silicone. We’ve packed one octopus and one crab in each box.